As a van driver, you spend hours on the road. Whether it’s long haul with a tachograph or short, speedy stints from one side of town to the other, you’re bound to clock up the miles and hours treading tarmac – and all that driving is hungry business. So if you’re in need of a quick bite to eat, where to go? The truckers’ café, the roadside trailer, or is it worth finding a parking spot and heading into town? Luckily for you – and your stomach – we’ve compiled a list of the UK’s best roadside eateries, so no matter where you are, you know where to get a decent meal. Take a look at the mouth-watering options below, and start planning your next route accordingly. The Kiln Room, Inverness-shire, PH20 1BT This is a cosy little converted farm building off the A889 selling delicious sandwiches, soups and cakes, with indoor and outdoor eating options. There’s a little gift shop for those heading homeward, and a little bunkhouse (with hot tub!) if you’re planning on staying on the road for a while. The Watermill, Perthshire, PH15 2BG A café combined with an extensive bookshop – over 5,000 titles at the last count – and its own children’s corner, this is a gem of the roadside world. Just off the A827 you can find loose leaf teas, cafetiere coffees and Fairtrade nibbles both savoury and sweet – all equally delicious. The views alone are worth stopping for, but it’s the food that’ll make you linger. Glen Café, Selkirk, TD7 5LH Located on the shore of St Mary’s Loch, this idyllic treasure trove of treats is a feast for all the senses, offering quality, freshly-made food. 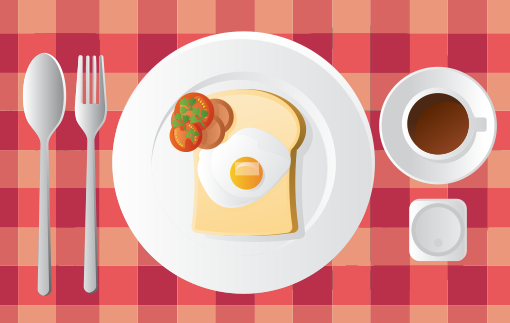 In the summer months an evening menu is available which varies depending on the availability of local produce, but the real treat is their breakfast menu, offering every conceivable variation of sausages, eggs and bacon you can imagine alongside simpler dishes such as porridge, toast and a range of hot drinks. Hartside Top Café, Cumbria, CA9 3BW Famous as the UK’s highest café, on the A686, this cosy eatery is a favourite of anyone driving through the Lakes, but especially with truckers and bikers thanks in part to the generous carpark but mainly to the simple, honest and delicious food, strong brews to keep the moorland chills at bay, and the stunning views (on a clear day) of the nearby peaks. The Red Bus Café, Shaw Wood layby, nr Thorner, West Yorkshire An iconic sight, this café is housed in an old red double decker and is a firm favourite among travellers along the A64. The bacon sandwiches are a year-round hit, and although it does a roaring trade when the festival crowds are in town, it’s best enjoyed at quieter times of the year. The view isn’t worth writing home about, as it sits alongside a busy A-road, but once you taste the food you won’t need a pretty scene to keep you occupied – just ketchup. Route 46, Worcestershire, WR11 7QP This little place looks for all the world like a minimalist American diner, but what it lacks in character from the décor it more than makes up for with the food. Everything is locally sourced, and by selling the tried-and-tested favourite of fish and chips, alongside meaty variations, this café can’t go far wrong – and nor can you, as it’s directly off the A46 for which it’s named. Square Deal Café, Berkshire, RG10 9UR This place does what it says on the tin: offers appetising, freshly-made fare at good prices, all aimed at passing truck and van customers. The location isn’t inspiring but the portion sizes definitely are, and at breakfast time you’ll be hard pressed to find an empty seat – surely the sign of an outstanding diner. Port and Starboard Fish & Chip Café, Cornwall, TR9 6JZ When you’re so close to the sea it would be inconceivable to eat anything other than freshly-caught fish and chips – and where better than a café that’s served travellers for over half a century? Set menus give great value for money, especially if you’re eating on the go, but if you’ve time to stick around for a while when the platters are exquisite. McGee’s Farm Shop, Co. Down, BT23 4TQ With a farm shop and adjoining café selling local homegrown produce, this is a popular food haunt for travellers and commuters alike, being only 5 minutes from the main road. Traditional meals are served alongside ‘healthier’ options with most foods available to purchase in the shop, so you can recreate your favourite dish when you’re back home. Glenarm Castle Tea Rooms, Ballymena BT44 0BQ Nestled among delightful scenery in a charming country house, the tea rooms are just off the coast road and provide a range of snacks, light bites and refreshments – but the main draw is their afternoon tea. Perfect for anyone who missed out on lunch, or who knows they need to soldier on through the evening rush hour, this mid-afternoon way station provides delicious food at attractive prices – and let’s face it, who isn’t won over by cucumber sandwiches cut into triangles? The Quarry Café, Machynlleth, SY20 8EB A café with a difference, the Quarry offers predominantly vegetarian and vegan dishes – a quirk that brings people from miles around, even on long detours, just to try their good. Burgers and pizzas appear alongside the stereotypical salads, and to still be going strong after almost thirty years means they’ve got to be doing something right. Gwalia Tearooms, Cardiff, CF5 6XB For the full traditional Welsh offering, Gwalia tearooms just off the A4232 have it all. From rarebit to bara brith, with local condiments and homemade cakes also on the menu, you’ll be hard pushed to find something that doesn’t whet your appetite. With a lovely old-world charm and conveniently situated near the capital, this tearoom offers everything for the hungry traveller. This is just a snapshot of some of the many amazing eateries available out there – but hopefully these offer you something a little different to your usual fare, and help to liven up your journey wherever the road takes you.